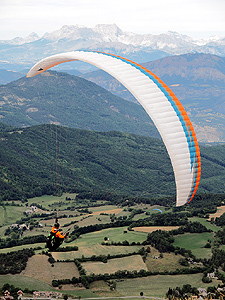 The highest mountain of the Alps gives stunning views. 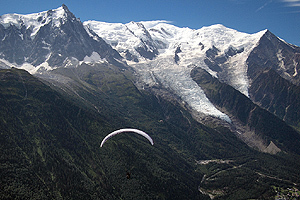 Mont Blanc, France. 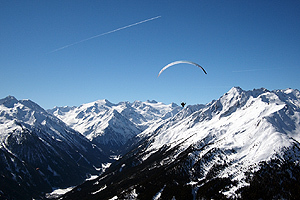 Snow capped Alps around Stubai Tal, Austria. 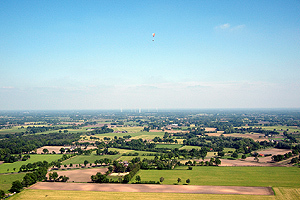 The west facing launch of Cenes. 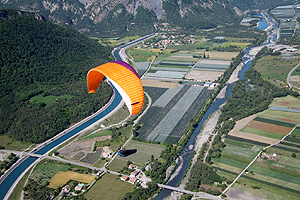 The river Durance near Espinasses, the outflow of the Lac de Serre Ponçon. 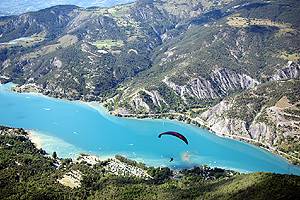 Lac de Serre Ponçon, France, is one the best flying sites of Europe. 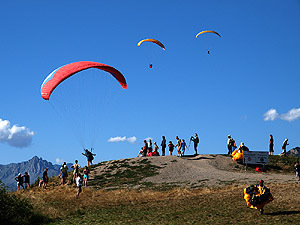 The launch from Plateau de la Chau, Montclar, with a distant view on Le Massif du Dévoluy. 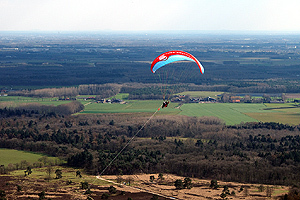 Wingover above Sterksel, The Netherlands. 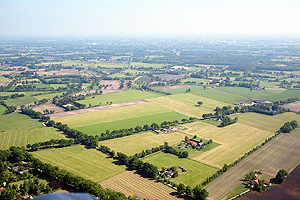 In the distance the city Eindhoven. 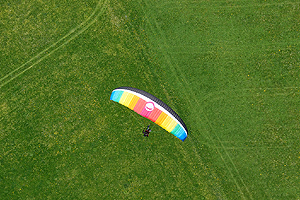 Wingovers are a series of turns that swing the pilot above the wing. 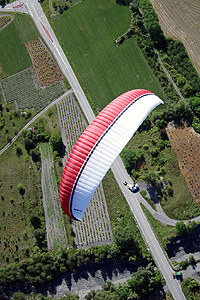 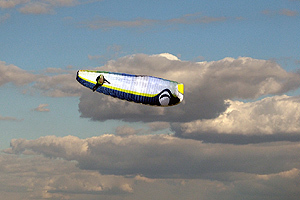 A SAT is a kind of acrobatic spiral, wherein the center of the rotation is between the glider and the pilot. 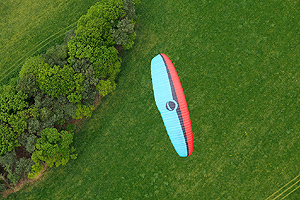 Another wingover with the Gradient Freestyle. 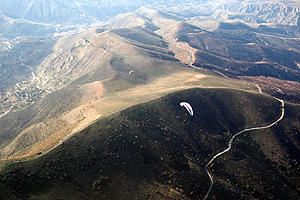 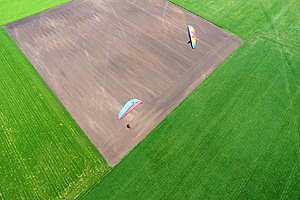 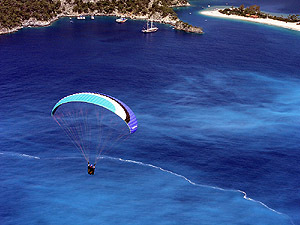 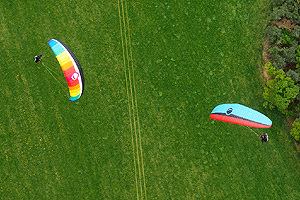 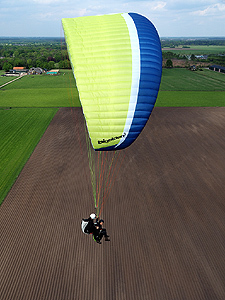 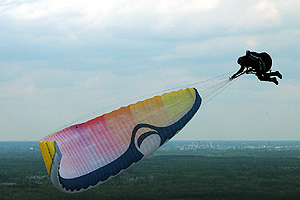 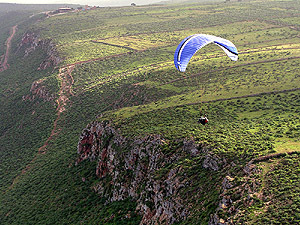 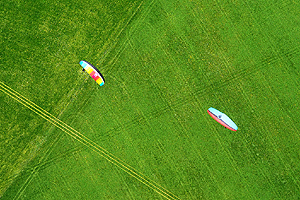 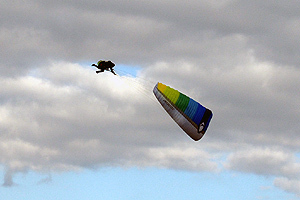 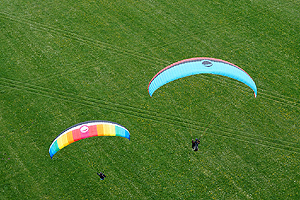 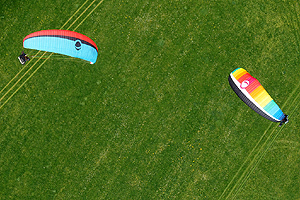 A tandem paraglider is towed with a winch. 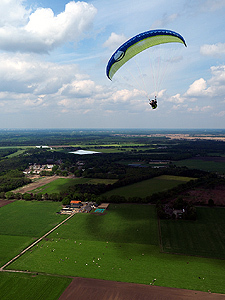 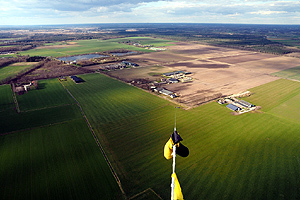 Dutch flatlands provide superb views. 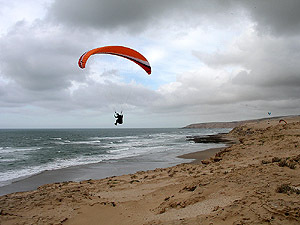 Soaring at the rocky Aglou Beach, Morocco. 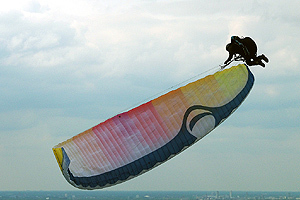 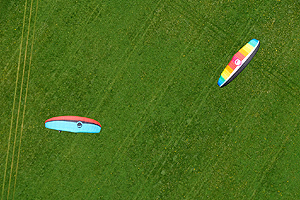 Hang gliding is very populair in Rio de Janeiro. 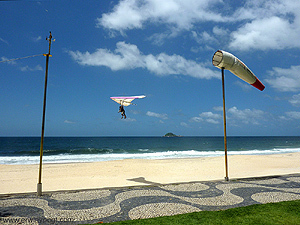 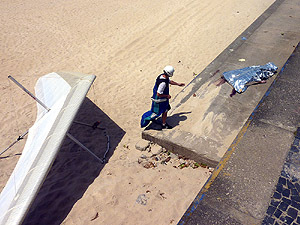 The beaches of Rio de Janeiro offer an easy landing area. 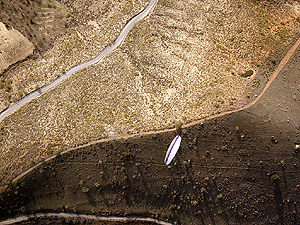 The launch Volantis at Saint Vincent les Forts.